The Bakken is one of the foundations of U.S. oil production, and one of the principle reasons why the U.S. has become a massive oil producer. But the Bakken’s best days could be behind it. That’s right. Oil production from the Bakken may have reached a peak, at least for the foreseeable future. While the EIA is predicting that U.S. oil production will continue to rise this year and next, it may be missing the story going on in North Dakota. We are now on the far side of that peak, and production will only continue its descent from there. Rig counts continue to fall. 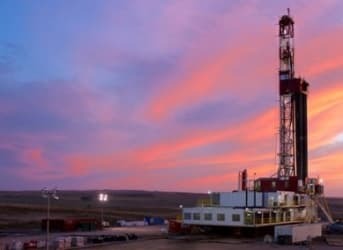 North Dakota now only has 91 rigs actively drilling in the state as of April 15, far below the 130 state officials say is necessary to maintain output. Well completions are also falling, down to 42 in February from 63 in January. That means there will be less and less new oil coming online to replace wells that are depleting, resulting in larger overall losses. The state says that 110-120 wells need to be completed each month to keep production flat. Across the board companies are slashing spending and pulling rigs and personnel from the field. Related: Could The World Cope With Almost Limitless Energy? But unless oil prices rebound strongly, inducing drillers to flood back into North Dakota, the state’s oil production may have already seen its best days. Production will continue to decline as more rigs disappear. Even when oil prices rebound, it will take time for companies to return to the oil patch. And smarting from the bust, many of them will likely take more of a cautious approach. That means North Dakota’s oil production probably peaked in December 2014.